Are you starting to think about Christmas already? I know I am. Today Stampin’ Up! launches the Holiday catalogue. You can now purchase any of these products online here or by contacting me. Please contact me if you would like a catalogue and you don’t have one. For years I have created a December daily album. 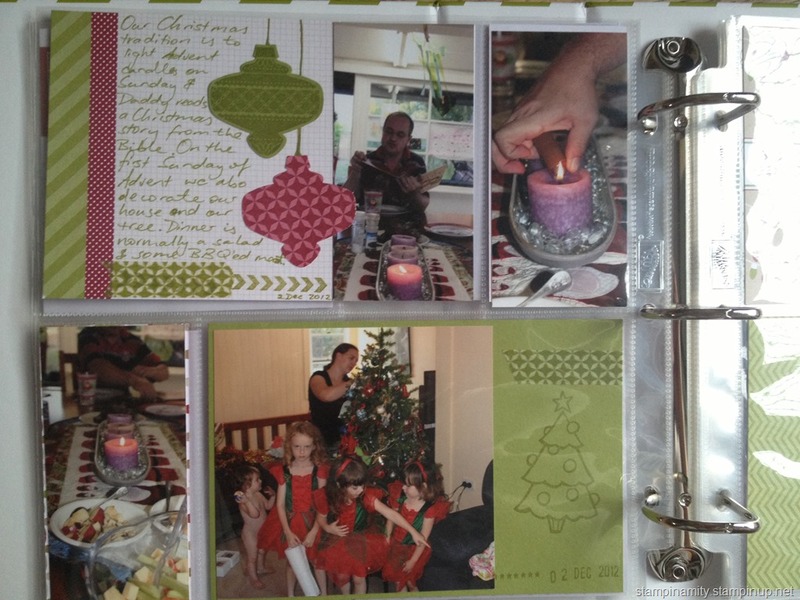 I have included a lot of journaling about our Christmas traditions, our Christmas preparations, our presents, our December life. Last year, with a new baby, I just didn’t get around to it. 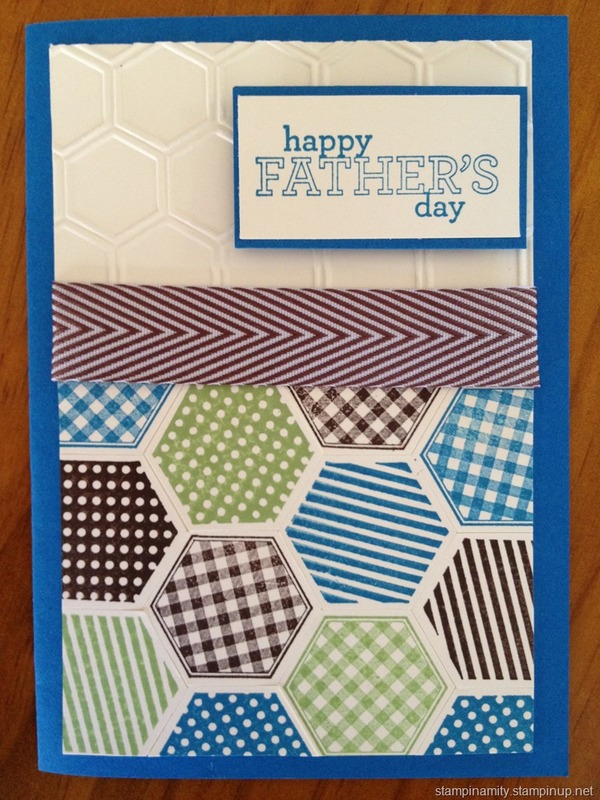 I fell in love with this kit from Stampin’ Up! as soon as I saw it. There is an 8’x8’ album in beautiful Old Olive which comes with 10 divided page protectors. Then you can purchase the Journaling Tags as inserts into the pockets. So cute and so easy. You would have arrived here from Monique Fielder’s blog. Aren’t we a talented bunch of ladies? As you’ve probably noticed chevrons are the latest craze and I must admit I do adore a chevron. 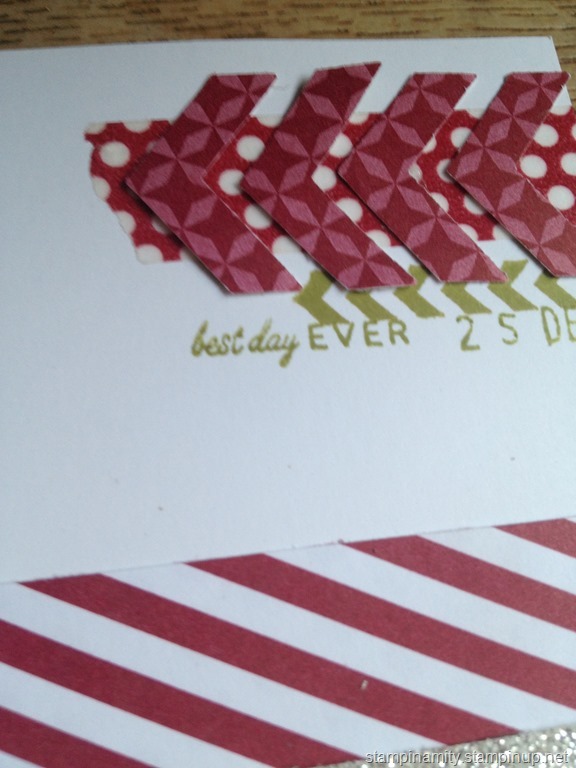 That’s why I was so excited by this chevron border punch. 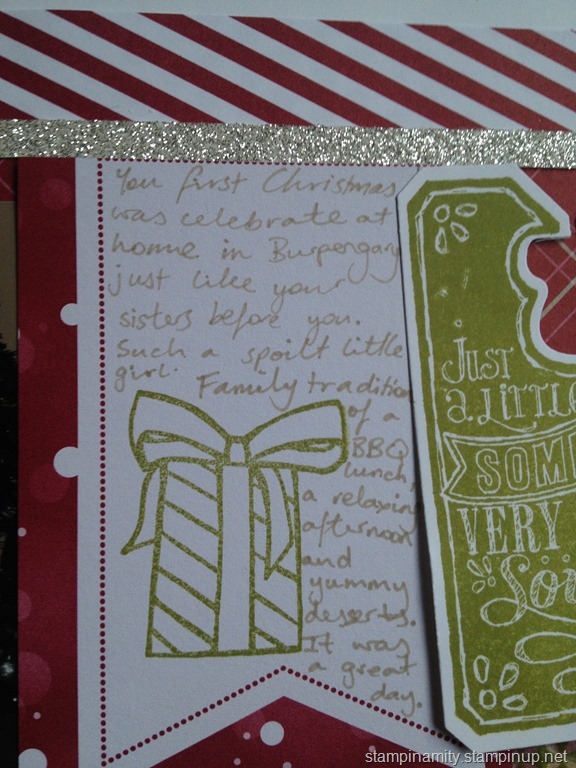 I have used the punched out chevrons to highlight my kids with their cousin. 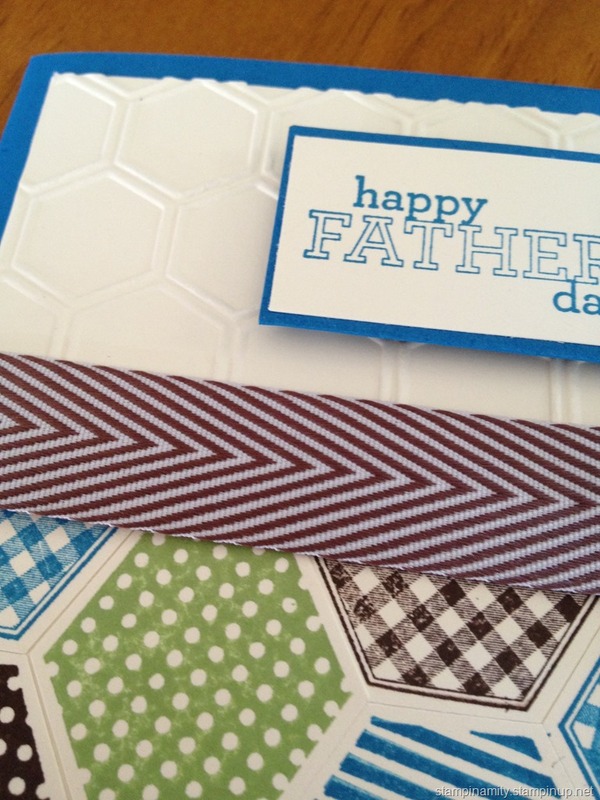 Love, love, love this chevron punch. Can you tell I’m a bit excited today? I have added a few embellishments to these pages but you could just use the journaling cards and add them into the pockets. Above I have used my new favourite stamp and punch combination, Christmas Collectibles, the baubles. This set is amazing value at only $49.25 for the clear mount stamps (5) and matching punch. How easy and effective are they? 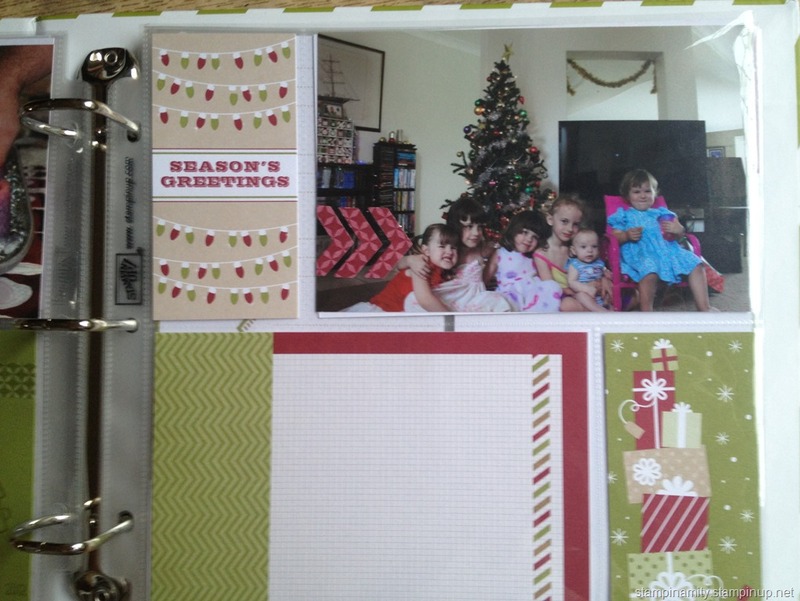 I have created a layout using the Seasons of Style Designer Series Paper and one of the cards from the Season of Style Designer Journaling Tags. 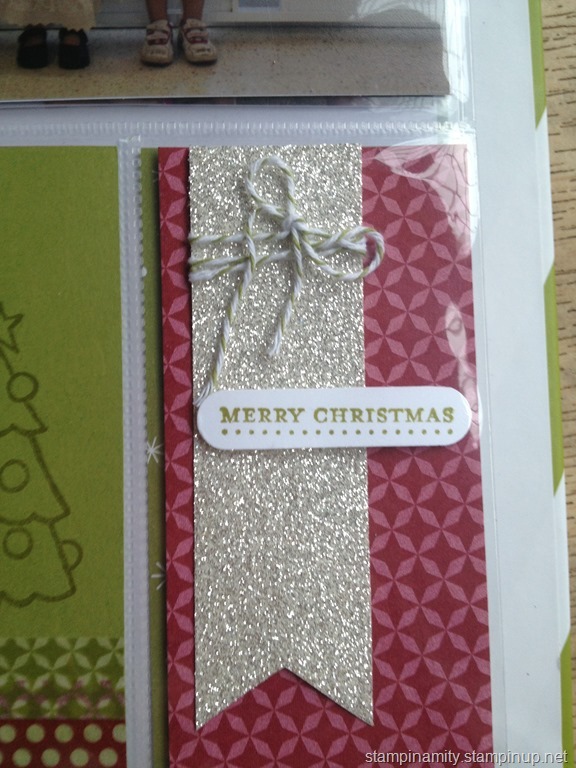 I also used a tag from the Stamp a Tag Kit. This kit is so cheap. It comes with 2 ink spots, 2 wood mounted stamps, 2 lots of twine and 24 tags in a beautiful little box. 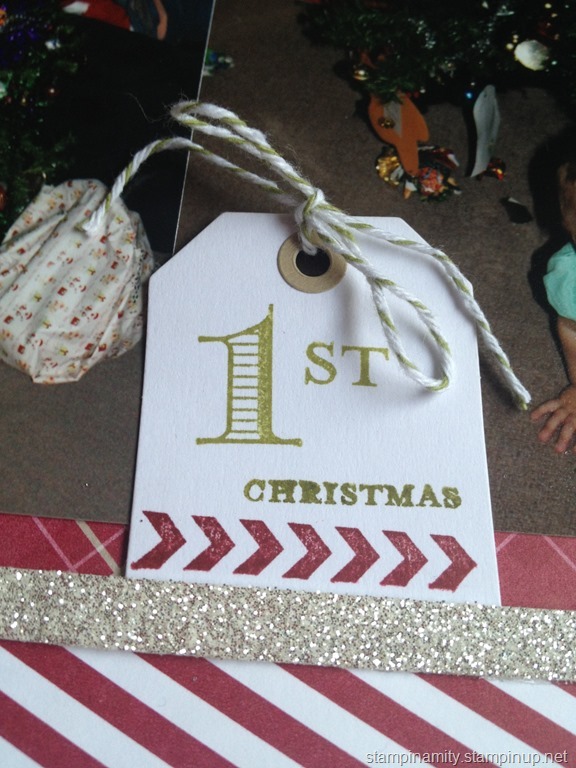 Perfect for making your own tags for your Christmas gifts. For those of you who like to read the journaling. 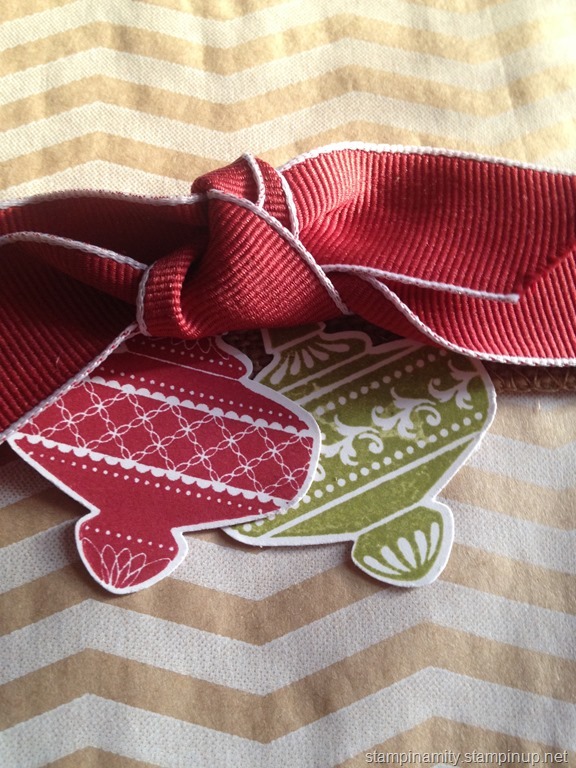 Cute stamp (Color Me Christmas) I’ve used to add a little more detail to the Journaling Tag. 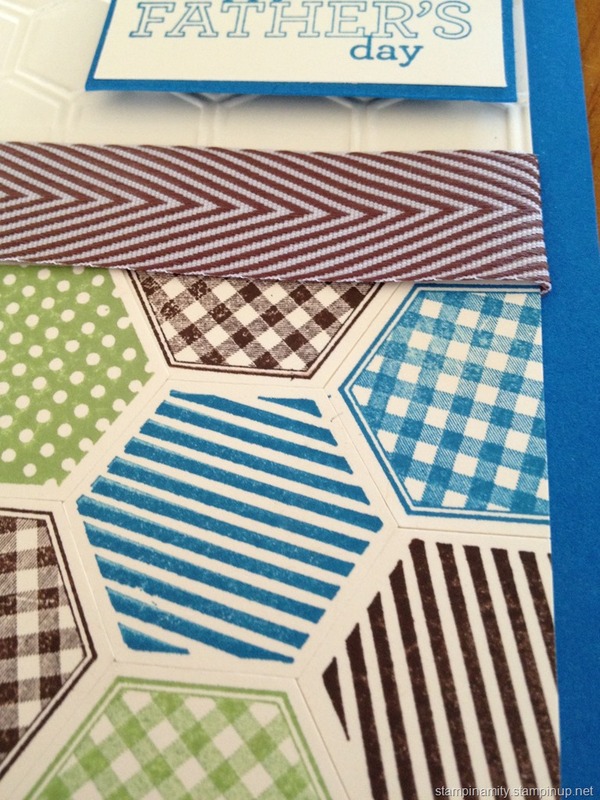 Here’s the chevron border punch again with some of the washi tape underneath and the chevron stamp from Stamp a Tag Kit. I hope you’ve enjoyed my scrapbooking. 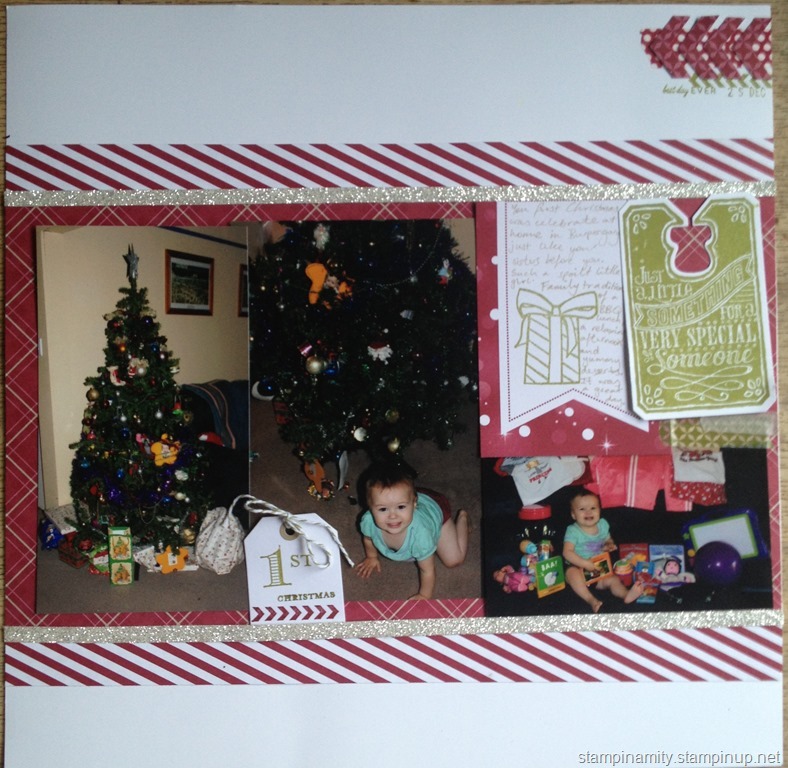 I hope I’ve inspired you to dig out your Christmas photos and get those memories recorded. 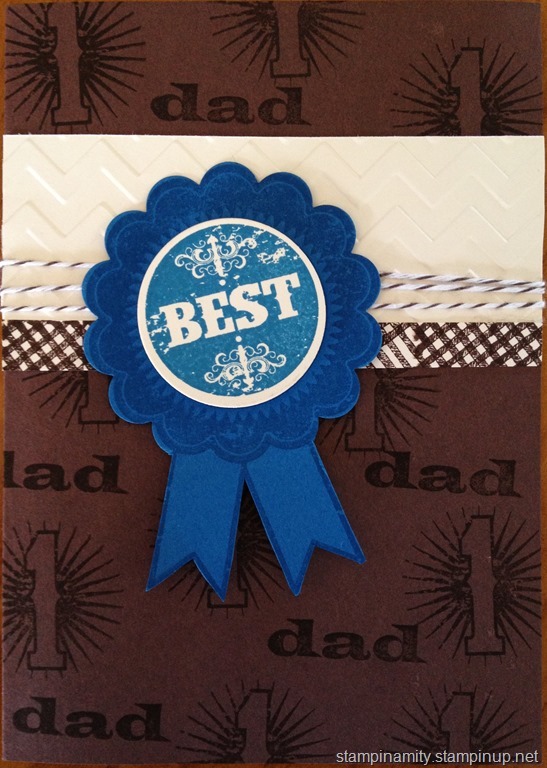 Thank you for joining us on our ESAD blog hop. 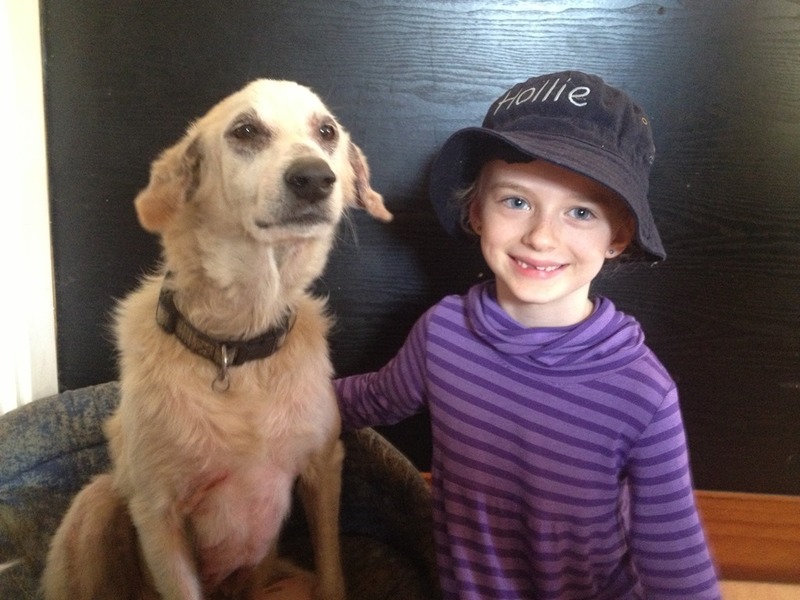 The next blog you’ll be visiting along the way is Kylie Clemmence’s. Don’t forget to leave a few comments along the way. We all love to know how you feel about our work. Really? Are you asking that question already? Well I’m not that’s for sure. I do have a heap of Christmas projects planned though. I will be holding a number of classes in the lead up to Christmas to help you prepare too. Here is a sneak peak at some of the upcoming items we’ll be creating. 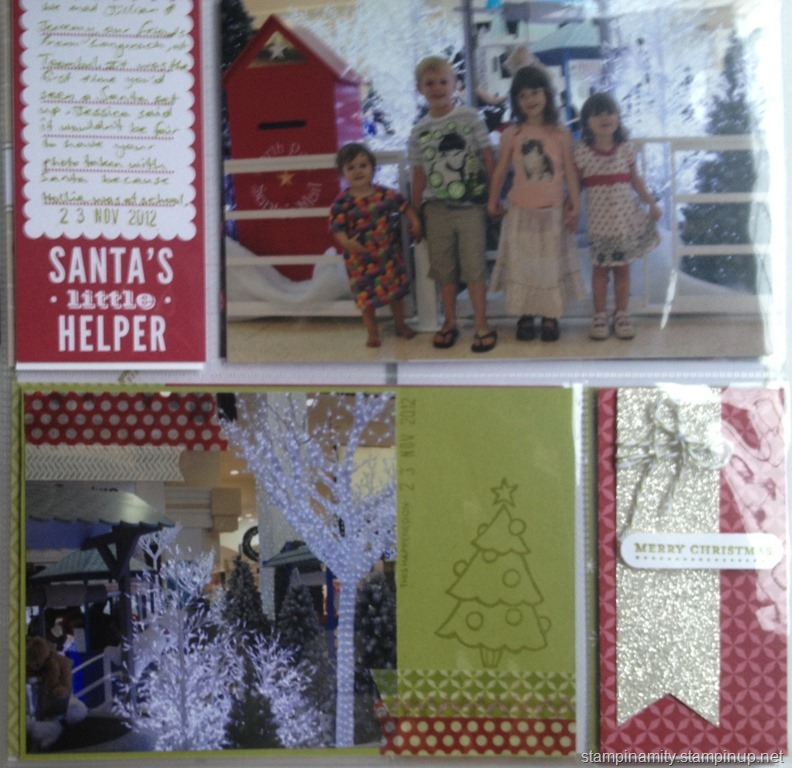 Don’t forget to contact me if you would like a copy of the Holiday catalogue. It is available now and I can send it out to you. You are able to order items from next week. This is the newest stamp and punch bundle. In clear mount you can order this set with the punch for under $50. That’s pretty amazing. Don’t they look beautiful? Order here. I wasn’t convinced by this bow die until I saw it in action. It cuts so cleanly and the bows are so quick and beautiful to make. Wouldn’t you love to receive a gift in this box? 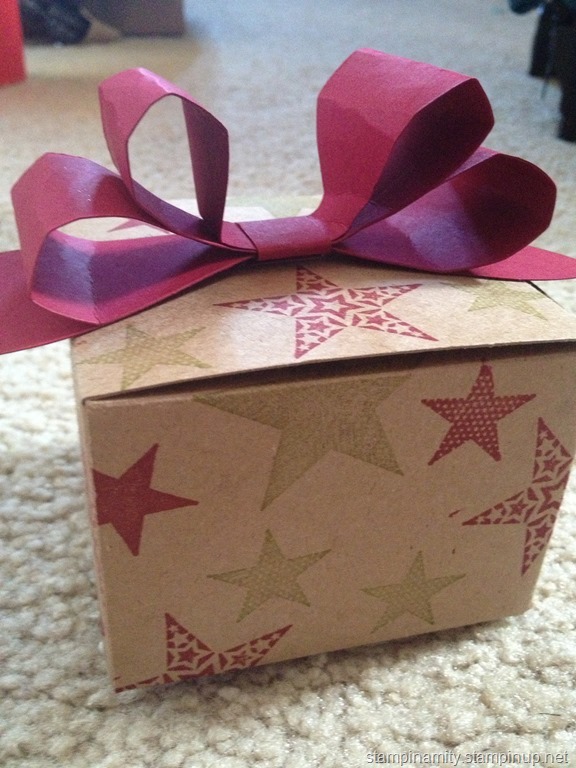 I decorated the kraft gift box using the Simply Stars stamp set. Just so effective. To view these and many other wonderful products view my online store. Yesterday the most amazing thing happened. Do you want to know what it was? 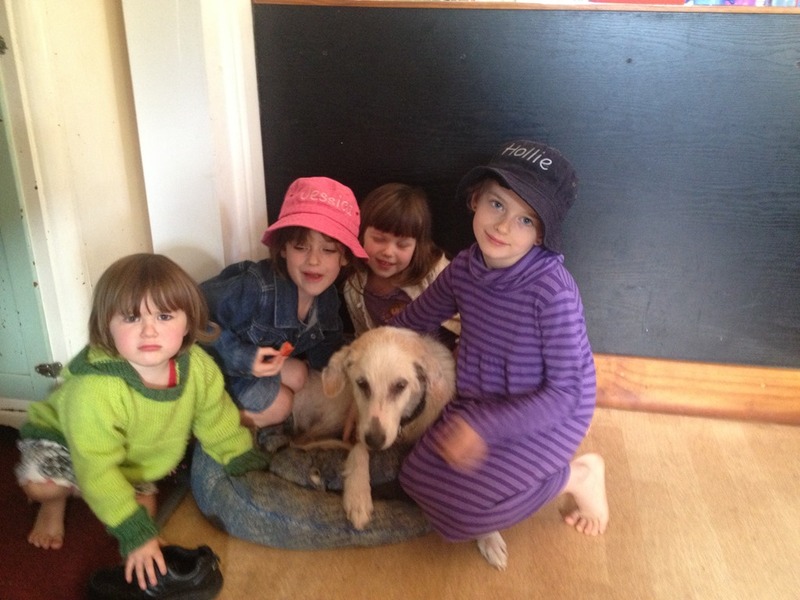 Our dog, Toby, was returned to us after 19 months missing! Is that not one of the most wonderful things you have heard? We have no idea what happened to him. We don’t know where he’s been. All we know is our little fella is home. He’s not in the best of condition. We know that he has been with other people at some stage because he has a new collar on but we also know that he hasn’t had his skin allergies treated in some time. When I got the phone call this afternoon I just cried. We had never really given up hope. We always thought he would just walk through the door or that we’d find him as we took our evening walk. Two nights ago Kevin and I were talking about throwing out a pair of his boots that had been chewed by Toby as a puppy. We couldn’t bring ourselves to do it as it was a link to our lovely dog. Now that we have him back those old boots can go. This is the reason your pets should be microchipped. Today I am greatful for having a very unusual name. The council was able to track me down because of my unusual name because my phone numbers on the microchip account were old ones but my name was there. Thank God for microchipping. We are one very happy family. Thank you to the Oakey Flat Road Vet, Narangba for contacting us. We owe you big time. 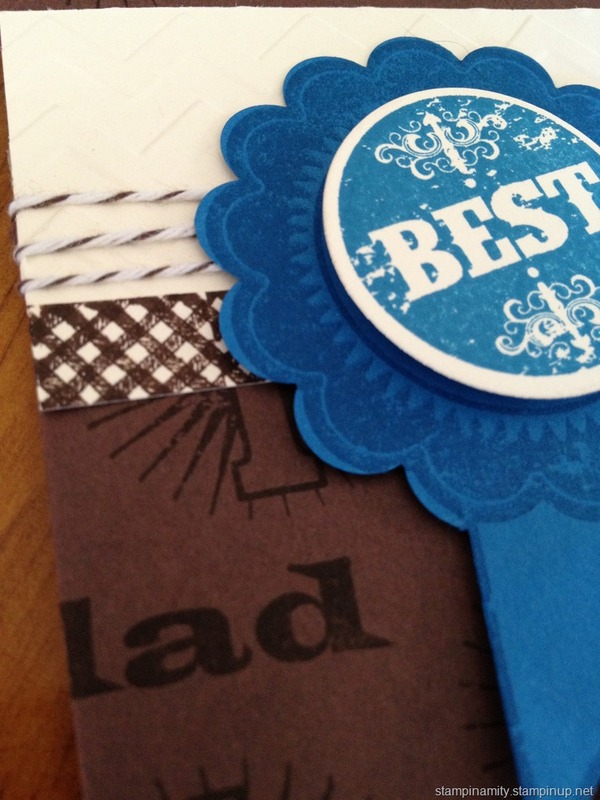 I don’t know a crafter out there who doesn’t love patterned paper so this special is for you. 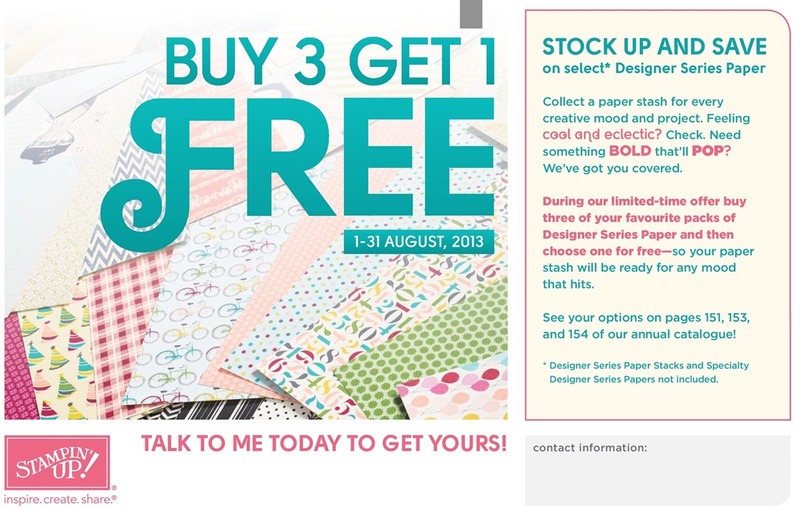 Purchase any 3 of our Designer Series Papers and get the 4th one free. Oh I love this. How much more paper can I purchase and hide from hubby? You can buy online here or contact me to place an order.